Last night while many in England were sitting down to watch a football match, following a 24-hour non-stop flight a GA-ASI SkyGuardian MALE RPA, ordered by the RAF as PROTECTOR RG Mk1, successfully touched down at RAF Fairford. 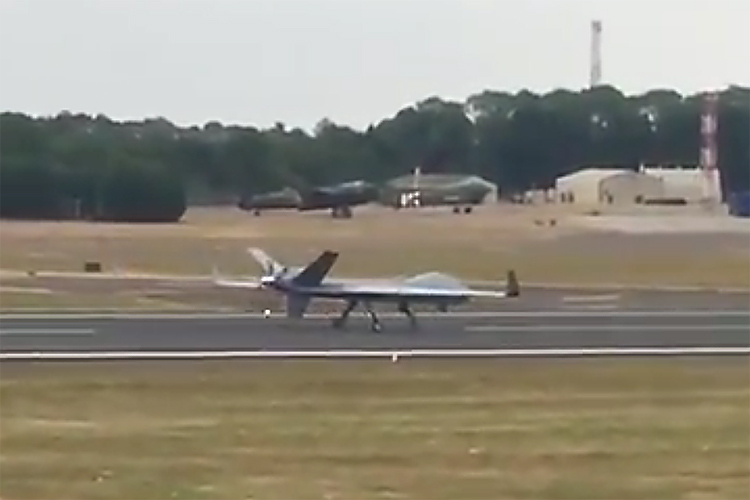 Press Release, 11th July 2018: Today at 6:51pm (GMT+1) a Medium-altitude, Long-endurance (MALE) Remotely Piloted Aircraft (RPA) produced by General Atomics Aeronautical Systems, Inc. (GA-ASI) made history as it landed at the Royal Air Force (RAF) Fairford in Gloucestershire, UK and became the first MALE RPA to successfully complete a trans-Atlantic flight. The GA-ASI-owned MQ-9B SkyGuardian took off from Grand Forks, North Dakota, USA on July 10th at 12:48pm CDT. The flight covered 3,760 nautical mile flight in 24 hours 2 minutes. RAF Fairford will be the site of the RIAT airshow from 13 – 15 July. The MQ-9B will be on static display during the show. Over the past ten years, the RAF has operated GA-ASI’s MQ-9 Reaper RPA in support of the NATO and Coalition operations. The RAF is celebrating its 100-year anniversary (RAF100), so GA-ASI seized the opportunity to fly the newest MQ-9 version, MQ-9B to RIAT. 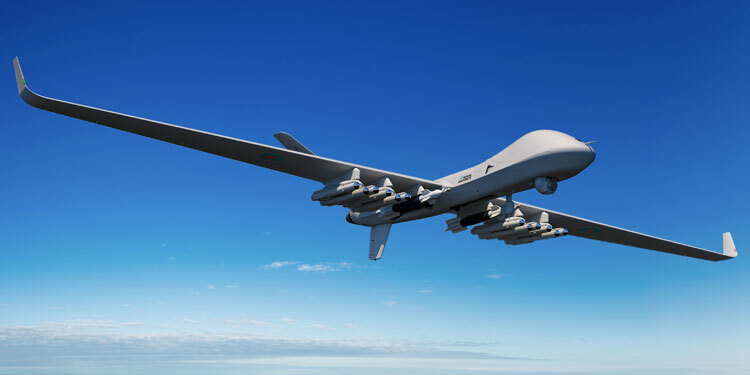 The RAF configuration of MQ-9B will be called PROTECTOR RG Mk1. MQ-9B is the next generation of GA-ASI’s multi-mission Predator B fleet. GA-ASI named its baseline MQ-9B aircraft SkyGuardian, and the maritime surveillance variant SeaGuardian. MQ-9B is a ‘type-certifiable’ (STANAG 4671-compliant) version of the MQ-9 Predator B product line. Its development is the result of a five-year, company-funded effort to deliver a RPA that can meet the stringent airworthiness type-certification requirements of various military and civil authorities, including the UK Military Airworthiness Authority (MAA) and the US FAA. Type-certification, together with an extensively tested collision avoidance system, will allow unrestricted operations in all classes of civil airspace.